Happy new year! We hope you all had a fantastic time with your loved ones over the Christmas break. 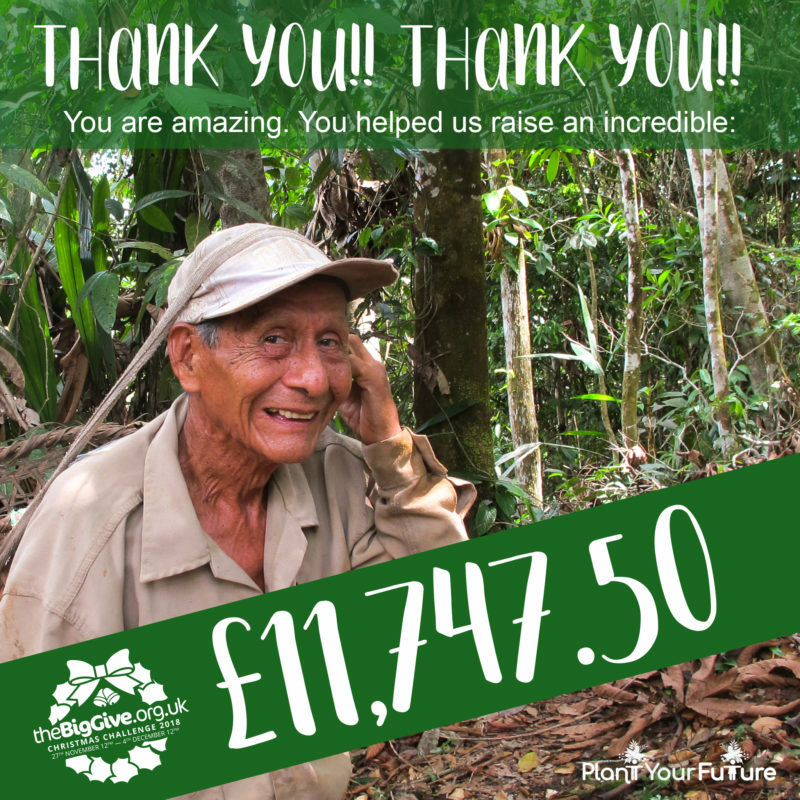 At Plant Your Future, we wish to start 2019 with a huge thank you to all the supporters of our Big Give Christmas Challenge. At the end of last year, we set ourselves the ambitious target of raising £10,000 in one week – between 27thNovember and 4thDecember. The decision came as part of a new strategy to upscale both our work in Peru and our fundraising activity in the UK. This was a huge deal for us, as all of our previous fundraising attempts have been smaller scale, limited to our friends and existing networks. Our previous efforts have been made up of sponsored events, quiz nights and coffee mornings, so we saw this as a new challenge reaching out to not only existing donors but also new people. However, with a clear plan and lots of wonderful new materials illustrating our on-the-ground operation in Peru, the pounds started rolling in from both existing and new donors. Our supporters really stepped up to the mark, helping us to reach the halfway point in just three days and ultimately enabling us to smash our goal by raising an incredible grand total of £11,747.50. We couldn’t have achieved this without the generosity of The Coles-Medlock Foundation, a family grant-making organisation that support international development projects. The foundation matched all donations, encouraging people to reach into their pockets and ultimately achieve an amazing result. Participating in the challenge was invaluable – with no previous experience of crowd funding/match funding campaigns, it was a fantastic opportunity to develop our knowledge. Every donation Plant Your Future receives is critical to helping us continue our work in 2019. The proceeds from the Big Give Christmas Challenge will help us to provide our farmers with vital pruning and weeding tools, training and on-the-ground support from a field technician. Thank you, finally, to The Big Give for this opportunity and for all the support provided in the lead up to, and during, the campaign.